But teenagers still think that the majority of bullying happens offline. Some 32% of teenagers questioned had experienced one of more of the following: having a private e-mail, IM or text messaging forwarded or posted where others could see it, the victim of an aggressive email, IM or text message, having a rumour spread about them online or having an embarrassing photograph posted online without permission. As more and more young people join social networking sites such as MySpace and Facebook, so they are opening themselves and their personal information up to more people. The survey found that 39% of social network users had been cyber-bullied in some way, compared to 22% of online teens who do not use social networks. The sites themselves offer new avenues for bullies, the survey found. One 16-year-old girl said: "There's this boy in my anatomy class who everybody hates and some girl started up this I Hate [Name] MySpace thing. So everybody in school goes on it to say bad things about this boy." Sites such as MySpace and Bebo employ security and safety officers to trawl the site for inappropriate content. The survey attempted to find out why teenagers go online to bully. "Bullying has entered the digital age. The impulses behind it are the same, but the effect is magnified. In the past, the materials of bullying would have been whispered, shouted or passed around. "Now, with a few clicks, a photo, video or a conversation can be shared with hundreds via e-mail or millions through a website, online profile or blog posting," concluded report author Amanda Lenhart. Some teens felt that the insulating nature of the web was distancing bullies from their actions. "People think they are a million times stronger because they can hide behind their computer monitor," one teenage boy said in his response to why teens bully online. Describing those indulging in cyber-bullying as "e-thugs" he followed old-fashioned advice to avoid getting involved. "Basically I just ignored the person and went along with my own civilised business." In the UK, schools such as Helston Community School in Cornwall, have experienced cyber-bullying first-hand. It fought a battle to have offensive comments about pupils and a teacher removed from UK social networking site Bebo. Bebo said that it froze accounts that were used inappropriately but the school felt it didn't act quickly enough and banned the site from school computers. Last year the UK government issued guidelines to help parents and pupils deal with the issue of cyber-bullying after the Anti-Bullying Alliance found that one in five UK schoolchildren had been the victim of some form of online and mobile abuse. Its recommended that schools included cyber-bullying in their anti-bullying policies and undertook regular monitoring of communication technology used in schools. 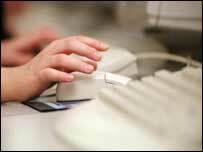 It advised youngsters not to give out personal contact details or post photographs of themselves online.